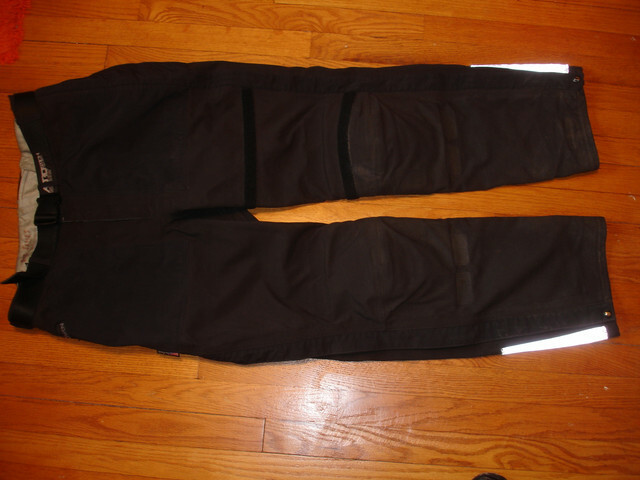 SOLD SOLD I have a pair of black AEROSTICH DARIEN PANTS 32L WAIST 32.5 inseam FOR SALE. They are in like new condition. All zippers, Velcro and snaps work great. No tears, scuffs, melted spots or any other damage. They have the belt and knee armor. Also these pants will expand to 33.5 inch waist with the expansion gusset in back and the second set of snaps on the sides. The price is $235 including conus shipping and insurance. Non-smoking household. I take Paypal. Please no returns. Any questions please PM me. Thanks for your time and interest.